Artist, Life Coach, and Adventuress - Melissa Reyes blogs at http://MizMeliz.wordpress.com and is the author of "This is the Sound of My Soul. Be it by luck, inspiration, or perspiration, Melissa is grounded in her core beliefs and values. She has immense love in her heart and is willing to share it freely. Melissa offers the gifts that she has received in life: love, joy, grace, wisdom and insight. She hopes to inspire others and to continue to learn from others as she finds inspiration in the every day and experiences how extraordinary all of creation truly is on her journey through life. speak my opinion freely, while still being mindful of other’s feelings– be tactful. know that at times I will post about the negative stuff in life, and maybe even some complaining (I am only human) but I will always follow-up with something happy/positive too. believe that this world is a good place, filled with good people. If you would like to take the Kindhearted Blogger Pledge, see Em Jay & Me’s Blog, it is awesome! I have been contemplating acts of kindness and compassion and how they are received. I have been going around and around with the thought that when someone acts with intentions of kindness and love, the recipient should be accepting even if they don’t want or feel they need that particular thing at that moment. This thought process came to light out of my desire to help my friends and unfortunately, I overstepped. My intentions were misunderstood as criticism. I meant to be helpful and I offered guidance in a safe place that I believed was about supporting each other. My ego was bruised because I didn’t want to hear, “I don’t need your help. If I wanted your help, I would ask for it.” I wanted to hear, “Thanks, I will consider that.” or at the very least, “I will consider it.” Or, at the very very least, nothing. It turned out that I was called out publicly and the more I tried to express my opinion, the more I was hurting the person who didn’t want my help in the first place. I was sucked into the situation when I proceeded to prove my point rather than back off. I realized too late that I was doing more harm than good. This resulted in hurting the person who I intended to help. I thought I was doing something nice, but my action ended up seeming to be an attack on her expertise. The fact is, I wanted to help her because I really like and respect her. My ego was injured because I was shut down. I found out that I am not someone who is trusted to give advice in this area. In fact, this particular person may not be able to ever accept help from me. She would probably never ask me for help. She either does not want help at all, or she does not want it from me. Either way, if I ever had her respect, I no longer do. So, I reflected on acceptance and respect. I was hoping that I could make the point that sometimes the giver needs to give and honestly gives with love, without expecting anything in return. Truthfully, I was still in the wrong because when I gave something that I thought would be helpful, I acted quickly and did not take the time to see if it was needed or wanted. I apologized to the person and I hope that she will eventually forgive me. I am thankful to have learned this lesson, but hope that she is not resentful that I learned it at her expense. Unfortunately, she misread my intentions and I believe she took it as me pointing out flaws when I was in fact trying to point out her brilliance. Please share your thoughts with me in the comments. Have you learned a valuable lesson through blogging or sharing your own story? Tell me about it. 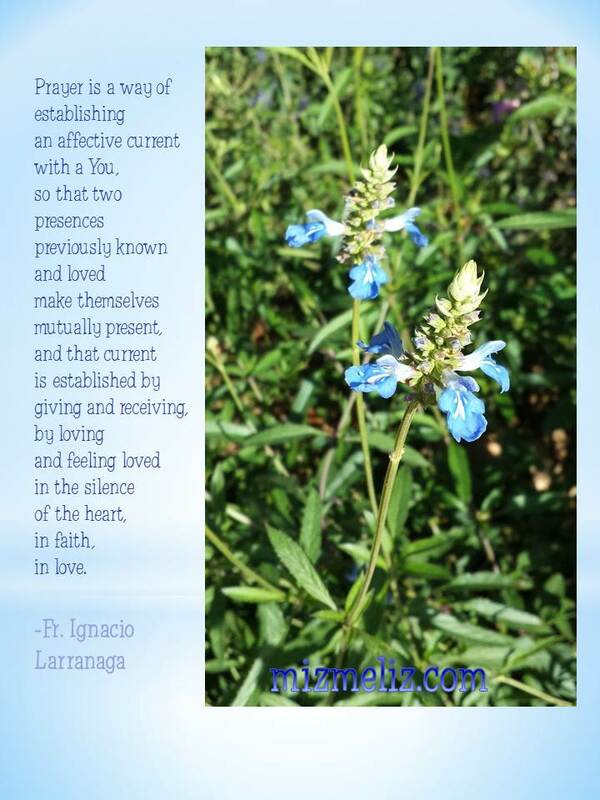 . .
Read the post I was working on when this all came about, The Practice of Being Kindhearted. I have been thinking about kindness and compassion lately. I can remember some very specific examples of times in my life where someone was kind to me when I really needed it and how it made an impact on my life. I can’t remember now who said it, or even the circumstances, but I was in a heated discussion once and someone told me, “Perhaps the reason you are so upset is because you aren’t used to people being nice to you.” I was appalled at the thought. Of course people are nice to me. My family and friends, everyone I knew at the time was nice. I was accustomed to nice. But looking back I now realize that what he meant was – – I wasn’t used to accepting the kindness of another person. I didn’t understand that someone would be kind to me for the mere act of being kind. I wasn’t expecting that someone could do something in kind, with no ulterior motives, from the heart, just because they cared. I wasn’t ready to accept that for some reason at that point in my life. My friend was right. I wasn’t open to accept the kindness of others. I was so self-centered and so sure that I did not need anyone’s help that I couldn’t see why anyone would do something nice for me. Why would anyone offer to help me? I often mistook the kindness of others as an attack on me personally, as if they were pointing out my faults or that I was somehow needy. I did not want to depend on another person to show me my downfalls and mistakes. I wanted to be respected. I wanted others to trust my judgment. If I wanted help, I would ask for it. I was in control. I now see that I was trying to control everything. Not just my own actions, but also the actions of others. There came a time when I did need help and help was there. It was a humbling and life changing experience. With time and experience comes wisdom and understanding. There is significance in everything. I learned that there are times when help arrives however unknowingly, unrequested and sometimes in remarkable, unbelievable ways. 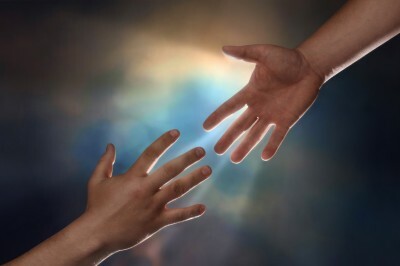 Sometimes help comes as an answer to my prayers, even when I am not sure what exactly it is that I need. You might have heard of the “Northridge Earthquake.” On January 17, 1994 at 4:19 a.m. I was awakened by a strange rumbling feeling as if the floor was about to give way and the walls were about to fall down and the sound of extremely loud screaming. My husband was screaming in my ear holding on to me for dear life, “Aaaaaaaaaaaaaaahhhhhhhhhhhhhhhhhh, it’s an EARTHQUAKE!” Writing this now, after all these years sends chills down the center of my being, through my bones and I can feel the fear rising up in me. It was by far the scariest most traumatic moment in my life. I wrote about it once in a handwritten journal. I poured out every detail onto the pages and I wrote it all down without stopping so that I would never have to recount it again. I suffered severe post traumatic syndrome disorder from the experience and I have moved past it and recovered, but since I couldn’t find the journal today, knowing I wanted to share a bit about it I needed to write it out again. It still haunts me. It is the fear of not knowing if you will survive that is chilling. I was sitting on my sofa literally racking my brain on what the heck we were going to do and there was a knock at the door. On the door frame actually, because someone had to break our door down to rescue us from our apartment when it was evacuated and the lock broke and we were trapped inside. The door had to be removed completely. I looked up and it was my brother and sister-in-law. I thought I had died because there was no way they could be there at that moment. It was unfathomable. They lived over an hour’s drive away and I knew the roads have been closed, the freeways were broken between his house and mine and it was just impossible that he could be standing there saying something silly. I think he said, “Is this where the party is?” or something like that. They came to help. They came to save me. It’s been almost twenty years since this happened, and I still sob when I think about how I felt at that moment and how it changed me forever. What my brother did was completely selfless, compassionate and beyond measure. He and his wife left their small children at home in the care of their neighbors so they could come and make sure that my husband and I were okay. They helped us pack up some things and we took our aunt and our cats to his house, where it was safe, calm and unbroken. He sheltered and cared for us when we had nowhere else to turn. A few years later, my husband and I experienced that kind of selfless giving again when my mother-in-law helped us with living arrangements and basic needs when I was pregnant and we couldn’t make ends meet. When I realized how much of a sacrifice that was for her at the time, I am blown away by the thought of it. Her generosity and love is unconditional. She is the most kind and thoughtful person I know. Another example of thoughtfulness came in the form of a big basket of food from my friends in my Ladies Bunko Group after my mom died. It was a gesture that went beyond the usual condolences. It was heartfelt and unlike anything I had ever experienced. I wasn’t used to being the recipient of a food basket. It wasn’t because I didn’t have the resources to buy food or even make it. But at that time in my life, my world was shattered. I once again found myself in a state very much like after the earthquake when I was not sure what to do next. And there was a knock at the door. My friends had heard what happened. They had prepared this meal for my family. I did not have to worry about cooking. I wouldn’t have been able to ever repay them for their kindness. There are too many times to recount when I have asked for help and help was there. I have been the recipient of help in so many situations, I vowed that I would pay it forward as much as possible and in every way I can. I am honored when I am asked to help out for this reason. It gives me a chance to do something nice for someone in the way others have done nice things for me. I have become one of those people who like to help others, even when they may not be accepting of help or feel they need it. I am honestly just being nice. There is no ulterior motive. Being willing to help others is just as important as being open to accepting help. Give others the chance to be nice to you, out of the goodness of their heart. You never know when they are paying it forward themselves. Always accept the kindness of others. There does not need to be a reason. I feel it is important to treat others kindly, even if the person isn’t a very nice person. I never know when someone might be suffering inside and their demeanor is unfavorable as a result. Maybe they are in pain. Maybe they are in a state of worry. Maybe they have been hurt. Perhaps they are having a hard day or are in a bad mood. So, I err on the positive and treat them with the same dignity and care that I would give to the outwardly nice people. I try to be nice to everyone all the time. It always warms my heart when I get a smile in return from anyone when I am nice to them, most especially when it is a grumpy person! When you are trying to explain something, teach a new concept, or share information with others and they challenge you, take it as an opportunity to practice kindness. Be considerate in your beliefs. This means accepting that others may not always agree with you. They might not be ready to understand. They might not be open to your way of thinking. They may simply disagree. You don’t have to be right. If you can’t get everyone to see things your way, it’s not a loss. If you rise up and meet them half way, be open to their point of view, explain yourself from a different perspective, take the time, the extra energy, the care to let things happen in a natural progression and not force an issue, that is the kind approach. Softening your heart and allowing things to unfold is not giving in. It is not a sign of weakness. In fact, it is a sign of strength because it shows that you are willing to wait and that you stand by your way. Others will honor and respect you for your convictions. You will own it. It is always a win when you practice being kind. When you begin to practice being kind, don’t forget to be kind to yourself. Give yourself a break! Don’t be so hard on yourself. It is okay to make mistakes and lose control. It is okay to have an off day. You do not always have to be on. If you feel like no one is being nice to you or everyone is being hard on you and you wish that someone would come along and cheer you up – cheer yourself up! Access your inner sweetheart and listen to her tell you it’s going to be okay. Listen when she says you are beautiful, smart and loving. Some people believe the best way to get started in the practice of being kind is to participate in random acts of kindness. You can start by making a list of nice things you can do – just because. This is really fun to do with kids (of any age) as a project. It might help to think about your day. Start with your routine, getting up in the morning, having breakfast, getting to work. Is there anyone that you see in the morning that would benefit from an act of kindness? You can get ideas here: Random Acts of Kindness Foundation. What Does it Take to be Kindhearted? Just think of other people with kindness. Put yourself in their place. How would it feel to be them? Is there anything you can do or say to make them happy? How about just telling them that you are thinking of them? How about smiling and saying, “Hello.”? It is more than being nice and thinking kind thoughts, kindness takes action. Being kind all the time to all people requires practice. Developing this as a way of life becomes a practice. Kindness is a philosophy. Kindness is a way of being that requires feeling for and caring about other people and thinking outside of my own needs. Caring for the needs of others is an act of compassion. When I practice kindness I am connecting with the world around me. It helps me to realize that most people are just like me. We all have moments when we are suffering inside. We never know what problems exist for the person beside us. What daemons are they fighting? What ails them? Do they let it show all the time? No. They put on a happy face. They keep it in their head. They hold their suffering in their heart. Being kind because you can, not for any other reason, becomes caring, compassionate and worthwhile. We depend on other people to make us whole. If I am kind to you, it makes us both feel better. Our society sends us mixed signals about being kind and helping others. In fact, I was told by a friend and colleague that some people look on being kind as a sign of weakness. When I asked why, she said it was because they know they wouldn’t do the same. So, if my friends aren’t into being kind to others, by this theory, they think I am weak or less of a person because I would be kind? That makes me sick to my stomach. I am not a doormat because I am willing to go out of my way to be nice. Luckily, I am kind to myself and I will recover from the nausea. Knowing that some people feel this way won’t stop me from being kind and I know in my kindness I don’t have to try to sway their thought process or win their approval. Many of my friends and fellow businesswomen who are actively gaining power, influence, confidence, and strength in their business and in their life are starting to take on the attitude that caring about others is not important and are even shunning others who are being nice to them. They don’t want to be bothered. Do you hear that? How cold. How harsh. You won’t get far, trust me. It might feel good to be empowered and feel in control for a while. But you will harden your heart in the process and it will cost you. It will hurt when you see it in the actions of your kids. It will hurt when you are alone and need help and you reject it. You are not proving anything to anyone if you are trying to emulate this philosophy. Don’t build up walls around you. Who will be there for you when your world is shattered? Who will knock on your door and ask “Is this where the party is?” If you kick every good doer who is in your way to the curb, it won’t be long before you find yourself there. I’ll tell you what. If that happens, you can count on me. I will be the one knocking. I will be there to lift you up. 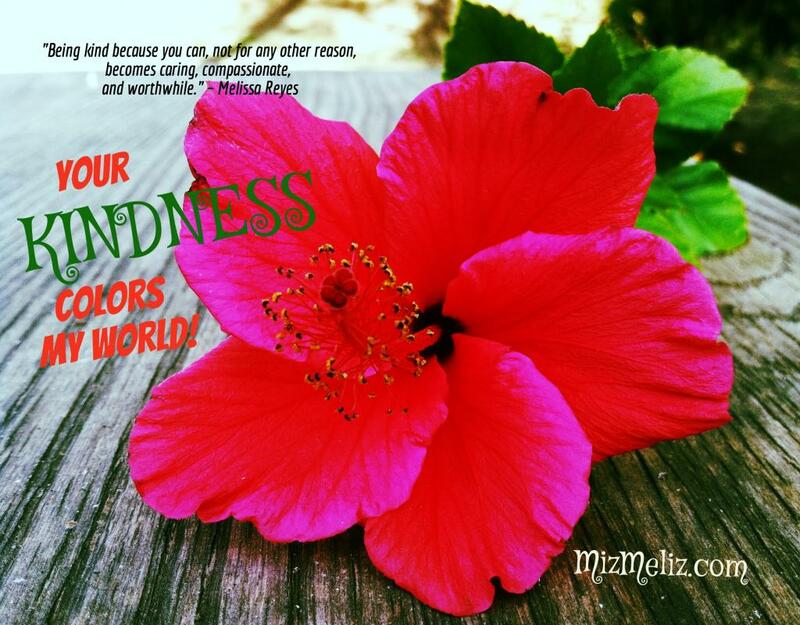 Check out this “Pinable” photo and quote from MizMeliz about kindness: Your Kindness Colors My World. What is it about doing something nice “just because” that warms your heart? Do you have a story of how a simple act of kindness made an impact on someone’s life? Please share your story with me. living a happy life in my next post. I believe that when considering my authenticity, acceptance is key. In order to honestly accept myself as I am, I feel the need to cultivate my connection with my inner self. Cultivate means working on it. Yes, this may take a little work. This means digging deeper, looking at myself and asking the difficult questions. And then, looking at the answers. This is more than self-discovery. This is self-care. I might start with a simple question. . .
Who am I, really? This is a pretty deep question. I am in touch with who I really am. It actually took a lot of work to “find myself.” I had to separate from that shell of a person that I had been trying so hard to become. I was trying for so long to fit in that mold. To live up to the expectations that I (and others who influenced me) set. I had to decide and accept that I am not just okay with who I have become, but I am happy with who I am. I finally accepted that the people I care about love me just the way I am. My husband, who is a pretty good judge of character, fell in love with and married me. Me. Just the way I was when I was a teenager. He loved me and was attracted to me when we got engaged, got married, had children, and through everything that has happened since. If he likes me, I must not be that bad the way I am. I realized that I was worth loving. I liked myself just fine. If I project who I am on the inside to everyone I know and show them the real me, the actual me, not who I wish to be, then I will be my authentic self. I didn’t give up on striving to be a better person. Don’t get me wrong. But I did stop trying so hard to “measure up” and be something that I wasn’t already naturally. It was easy to accept that my kids love me unconditionally and they have no pre-conceived notions of what I wanted to be or who I set out to be. My children are unaware of my failed attempts at a career, my lofty goals, and everything I hoped I would be by the time they grew up. They love me, truly love me, because I am their mom. Just because. Even when I want to change something like my hair style or lose weight, they hem and haw – they want me to stay the same – always. I can relate to that. I had the same feelings for my mom. Change is hard to accept. My point is, that I realized that I was good enough for these amazing people. I realized that God made me perfectly fine. I realized that I was born this way. I was born completely me. However you would like to put it – I am who I am. And it’s not bad. In fact I think I’m pretty good. Strengthening the voice of my inner sweetheart means to stop listening to my inner critic and actually listen to the inner sweetheart. I need to give her more credit. After all, she knows what she is talking about, too! She is positive and helpful and most of all , loving. What a sweetie! She is soft and good-natured and means well. She is getting stronger every day. My inner sweetheart is a winner! What does this have to do with self-confidence? What does it have to do with magic? The key to having confidence in yourself is, in fact, loving yourself! Listen to your inner sweetheart. Believe in yourself and your capabilities. Love who you are right now. Go out there and shine brightly! And here is the magical part. . .
Everyone else will agree with you. You are great! I feel like I have shared many of the fun things that I like with that “Jazz Hands” show-off mentality, as if to say, “Look at Me!” See what I can do? More than that, it has been my intention to show who I am and what I am proud of. As if to say, “I have arrived.” “I am here.” Catch my energy. See my spirit. It’s my time to shine. How have I demonstrated my “show-off” attitude towards life? I will review. I can look back at my posts. I can look at my Day Runner. I can look in the mirror. 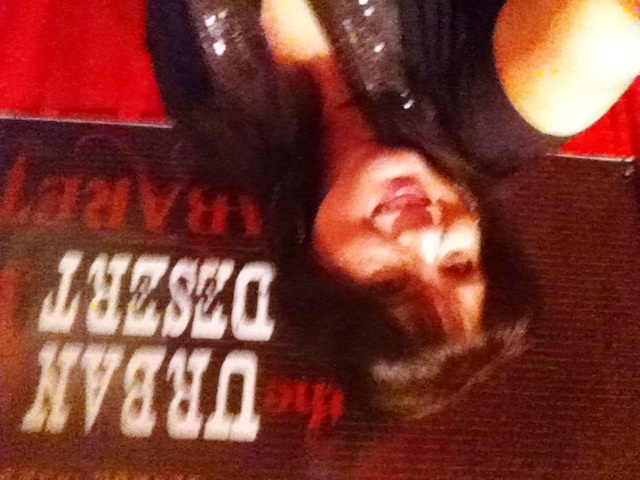 At the end of the month, I had a chance to read my poetry at a cabaret show in Hollywood. It was stellar! April also began the celebration and event season! It started with being in a flash mob for my friend’s proposal, then the celebration of my wedding anniversary, and I attended a few conferences and shows. May brought more celebrations beginning with my son’s confirmation, then my mother-in-law’s 70th birthday, my niece’s high school graduation, my nephew’s engagement party, my oldest son’s high school graduation, my other nephew’s high school graduation, both of my sister-in-law’s birthdays, my kids’ performances, games, prom and grad nights, and awards ceremonies . . . whew! Life is a celebration. Life is good. There is so much to be grateful for! Who knew this shy little girl would be such a show off? Let the Sun Shine Through! Miz Meliz was in the House! What’s next? Six months left in 2013. I look at the Day Runner. July looks wonderful. It’s my son’s 18th birthday. I should be posting my 200th blog post around the 2nd week. Getting going on the book. Finally! It’s my birthday. 45. Meh. It’s just a number. I have some relaxation planned. Pretty low-key. My husband and I have plans to attend a few concerts with friends in August. Then it’s back to school. My oldest son starts college in September. He will be moving out. I am excited. (I am scared shitless.) I am excited. I will be doing a workshop about goals, vision and life balance for my blogging group in October. Then the holidays will be upon us. Another year come and gone. It’s a good life. A very good life. What are you proud of that you have accomplished so far this year? Please share with me in the comments. Take a moment and toot your horn! C’mon, you know you want to! In preparation for my July 2013 “Mid-Year Reality Check” Post, I am reblogging my favorite post about having a vision for my life. Recently I noticed my vision had declined. I was getting headaches with or without my glasses. At first I attributed this to the fact that I was reading more and I was either looking at a computer screen or my cell phone practically non-stop. The eyestrain was really getting to me and I realized it was time for a stronger prescription. I tried using reading glasses until I could get an appointment to see my optometrist. But that only helped with the reading. My distance vision was worse as well. I wear bifocals because I have four different perspectives. It’s ironic because I always say I look at things from all angles!